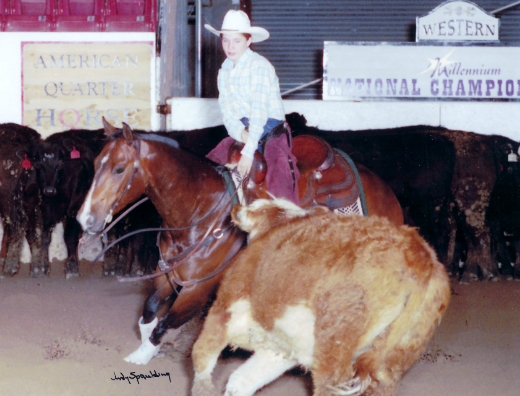 The 1st Annual Gabrielle Sanborn Youth Scholarship Cutting is to take place at the ICHA Spring Weekend Show, March 23-24, at the Idaho Horse Park Arena. This Youth Scholarship Cutting is offered both days of the Weekend Show, and entering is easy. Prizes will be awarded for both Jr. & Sr. Youth, based on points, but you must be entered both days. Gabrielle was just 20 years old when she left this earth for another journey, but not before she had graced this planet with her layers of talent. She had accomplished in her lifetime gifts that will linger with those who knew and loved her without end. She was an amazing artist, with both life and music, playing 5 instruments. Her free spirit showed through with the way she could pull together eccentric fashion and decorating rooms with her own funky eclectic style. She was someone who instantly made you feel comfortable just being with her and most importantly just being yourself. 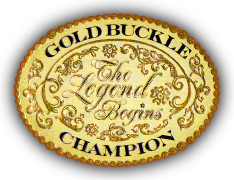 These are all qualities instilled within that come from living on the land and being involved with horses. Gabrielle was introduced to Cutting by her grandmother Gina Macdonald. 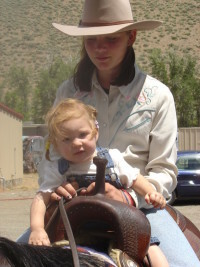 Gina has been a longtime board member and contestant with the ICHA and has been involved with horses most of her life. Gina, like so many of us parents/grandparents,find themselves devoted to finding something to keep our children/grandchildren grounded. Something to teach them responsibility for their actions and self worth, something to teach them to be happy being themselves; because, being yourself is all you need to know to get you through life. 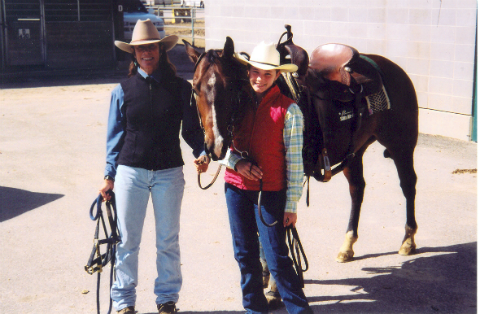 Gina knew same as all of us who have grown up with horses and agriculture, being connected with the earth is what keeps you grounded and helps you discover who you really are, and there is no faster way of doing this than being involved with horses. Knowing who you are is what gives you direction in your life and the spirit of the horse is often your guide. Gabbe found the magic in horses, a love she shared with her grandmother. Horses mirror the inner you, and teach you things about yourself that you would not learn otherwise. The trust they show you is exactly how much trust you have given them and often how much trust you have in yourself. They read your inner thoughts and know when you are scared, sad, excited, and nervous and will react accordingly. For many of us the spirit of the horse and what they offer to our inner souls is a mystery. It is an unexpected gift that gives us peace that we didn’t even know we were in need of. What we do with this gift once we find it is pertinent to everything that comes after. This March we choose to honor Gabbe and the spirit of the horse that gifted her with peace and left her family with gentle memories that will linger in their hearts for a lifetime. Join us in this celebration during the ICHA Weekend Show.